Marietta, GA, September 22, 2017 – ETA Creative Event Producers is thrilled to have been ranked no. 1591 in Inc. Magazine’s 36th annual Inc. 5000! 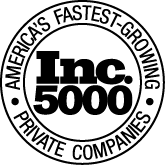 Inc. 5000 is the most prestigious ranking of the nation’s fastest-growing private companies. The list represents a unique look at the most successful companies within the American economy’s most dynamic segment—its independent small and mid-sized businesses. Companies that made this year’s list, on average, have grown sixfold since 2013. As an Inc. 5000 Honoree, we now share a pedigree with some of America’s biggest companies, including Under Armour, Microsoft, Timberland, Clif Bar, and Pandora. “I am humbled by the recognition that we continue to receive at ETA. This is a testament to our commitment to add value to our people, our customers and their projects. We have the best approach in the live events industry that is guided by the best people. Landing on the Inc. 5000 list is simple validation that we are doing the right thing,” says Managing Director, Jeff Robertson. The 2017 Inc. 5000 list is ranked according to the percentage revenue growth when comparing 2013 to 2016. To qualify, companies must have been founded and generating revenue by March 31, 2013. In addition, they had to be U.S.–based, privately held for profit, and independent as of December 31, 2016. A full list of companies in the 2017 ranking can be found here.